**As always, every Tuesday in SF at TGIJP for legal support. More info here and join the tgijp mail night facebook group to get updates! 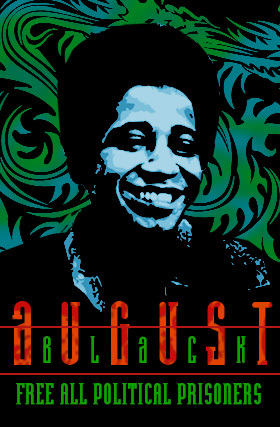 Come Join us at Aunt Charlies Lounge for our August Letter Writing night honoring the memory and organizing legacy of black revolutionary and political prisoner George Jackson, who was gunned down by prison guards during a Black prison rebellion at San Quentin on August 21, 1971. 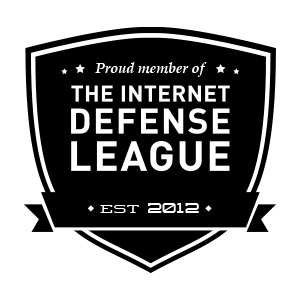 We will be linking this to larger and current issues of militarization and resistance. 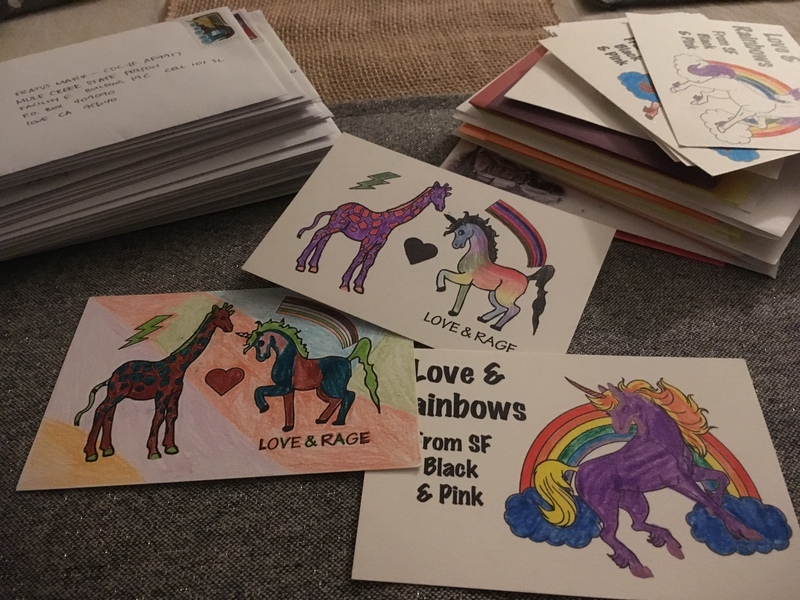 Whether you are swinging by to pick up a letter, looking to find a long-term pen-pal, or simply want to write a few cards this is a simple way to brighten someone’s day in prison and hang out with some awesome queers. So come hang out with us! 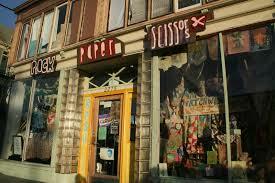 (And bring a dollar to donate for stamps and supplies, if you can). The 9th annual Urban Shield – the SWAT team training and weapons expo that brings together local, regional and global police-military units – will be held in Oakland this coming September 4-8. 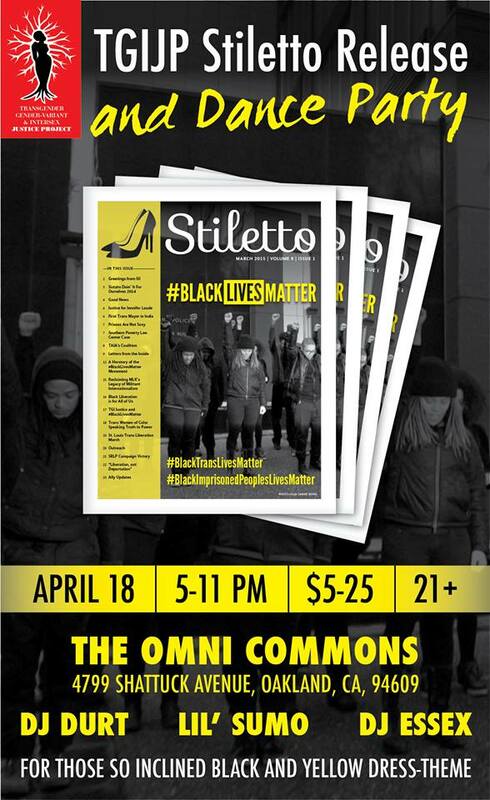 Oakland is gearing up to stop it! 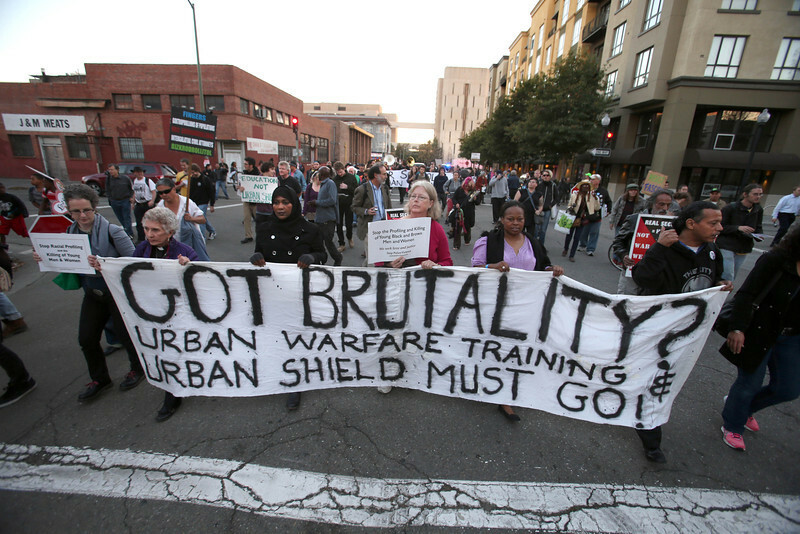 Building on growing resistance to police militarization in the US, Bay Area community organizations and War Resisters League have come together to call for Oakland’s non-participation in Urban Shield, community self-determination, and solidarity with global movements. This event will be commemorating the suspension of the largest hunger strike in U.S. history-begun on July 8, 2013 by over 30,000 people. 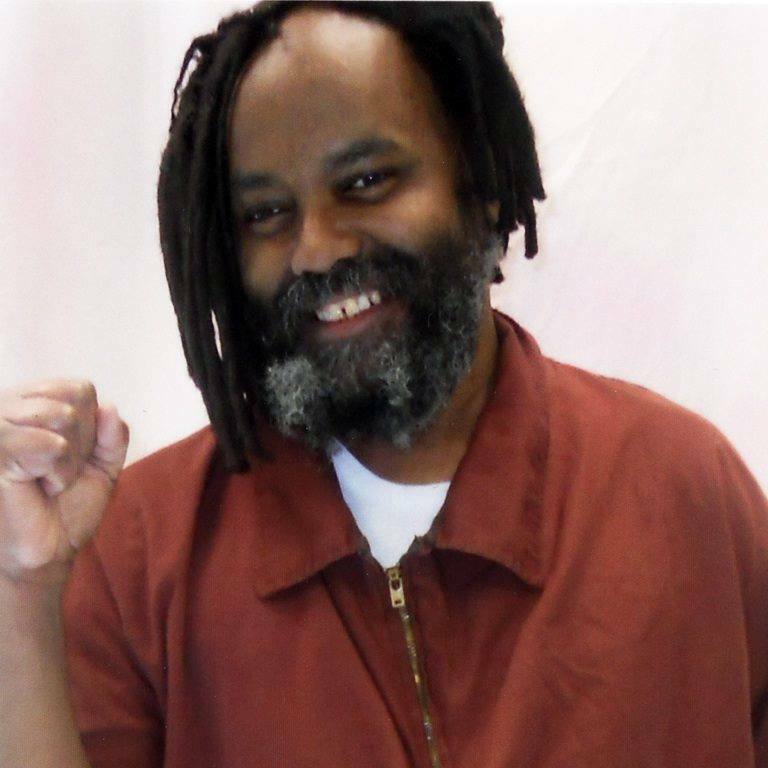 At great cost to their health, dozens of incarcerated people in CA fasted nonviolently for 60 days, ending on September 5, 2013. There will be a picnic, an open mic and food. We’ll be setting up a blanket and bringing supplies to paint our new Black & Pink banner! Come hang out with us! Unicorns in Prison.. Our next workshop: September 8!! This workshop will introduce and explore the prison industrial complex, including the abolition vs reform frameworks, a historical analysis of the policing and incarceration of LGBTQ people, and current issues and alternatives to incarceration. We hope this workshop will motivate folks to take action against the policing and incarceration of LGBTQ community and become committed to dismantling the prison industrial complex. We also hope to find new penpals for our queer and trans family currently behind bars. The workshop is 100% free but we will be accepting donations to help cover the cost of our work. Save the date – join us for our monthly letterwriting night! Theme TBD. Put on by Critical Resistance Oakland. Tickets: $15 -$50 sliding scale. On sale here! Summer is just around the corner and youth across the country are looking forward to 3 months of freedom. Unfortunately, not all youth will be celebrating their freedom this summer. For a disproportionate number of gay and transgender youth who have been pipelined into the juvenile justice system, no such freedom is coming. 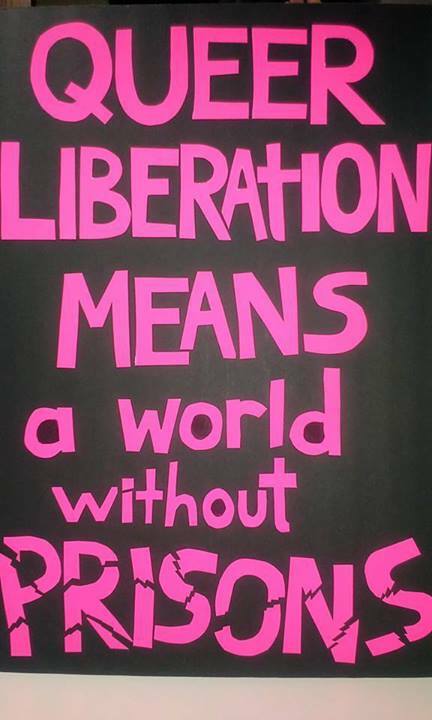 That’s why we are putting out a call in support of the 2014 Global Week of Action Against Incarcerating Youth. In recent years, schools have been increasingly relying on law enforcement to manage school discipline issues, creating a criminalizing link between the school and juvenile justice systems known as the school-to-prison pipeline. Gay, transgender, and gender nonconforming youth are disproportionately funneled into the school-to-prison pipeline and are over-represented in the juvenile justice system. 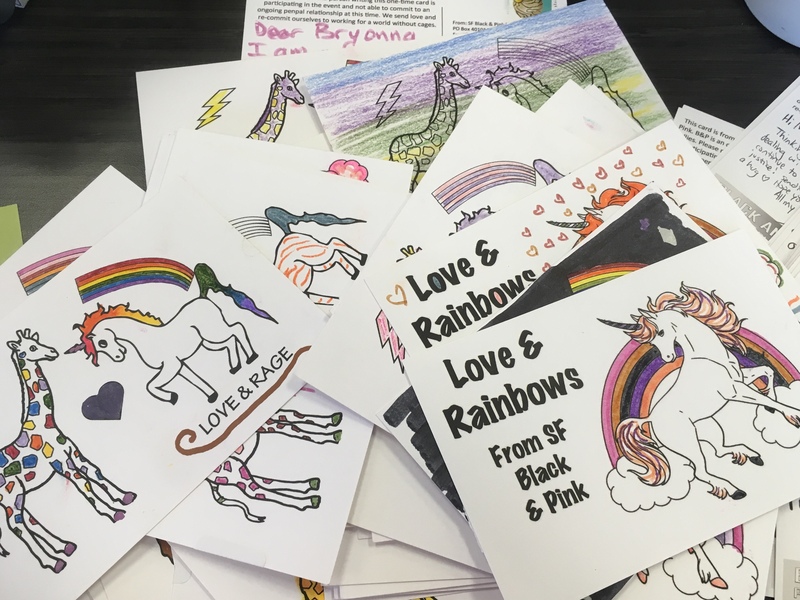 According to the FIRE Initiative at the Center for American Progress, approximately 300,000 gay and transgender youth are arrested and/or detained each year, of which more than 60 percent are black or Latino. So while gay and transgender youth represent just 5-7% of the nation’s overall youth population, they comprise 13-15% of those currently in the juvenile justice system and 40% of the homeless youth population. A shocking 39% of homeless gay and transgender youth report being involved in the juvenile justice system at some level according to the Fire Initiative. Take, for instance, the local case of Jewlyes Gutierrez, a 16-year-old transgender student at Hercules High School in the SF Bay Area, who faced battery charges after standing up to her bullies. Gone are the days of a phone call to the parents and in-school efforts to remedy these situations. The D.A. initially reported he had no choice but to press charges, despite the fact that a precedent for this had not been set until it was a transgender teen of color in question. As reported inThe Daily News, a huge force of community resistance swelled and the outcry led to the charges against Jewlyes being dropped after completion of a conflict resolution process. Unfortunately, this is not the case for so many other targeted youth. 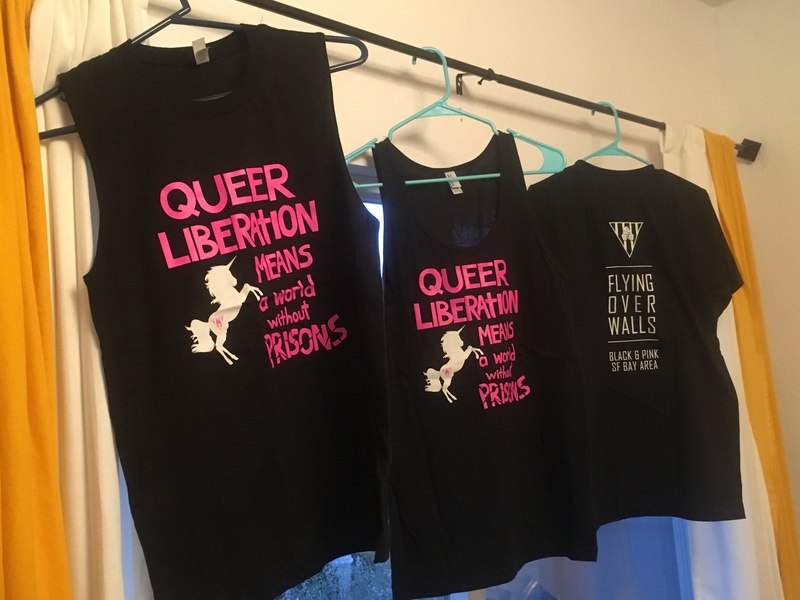 As a chapter ofBlack & Pink, a national organization focused on building support and solidarity with LGBTQ prisoners, we are specifically interested in looking closely at the ways that marginalized bodies and lifestyles are stigmatized, surveilled and policed as well as how to resist, respond and build resilience within our communities. That’s why we’re participating in second annual Global Week of Action Against Incarcerating Youth, an event developed by the grassroots group,Save The Kids from Incarceration. Our commitment is to host a workshop for our community on Thursday, May 29th in San Francisco entitled, “Caging Deviance: An Introduction to the PIC and Queer Resistance.” Our goal is to support participants in exploring the underlying framework of the prison industrial complex while giving a historical analysis of the policing and incarceration of LGBTQ people. Criminalization and mass incarceration of LGBT youth, youth in poverty and youth of color is not the solution; another world is possible. Please support the future of our youth by joining the Global Week of Action Against Incarcerating Youth – discuss this issue with family and friends, bring it up in your classrooms, support queer and POC youth organizations, uproot and replace the oppressive stereotypes we have been taught about who does and doesn’t deserve to be criminalized and demand an end to the school-to-prison pipeline.